Preheat oven to 190C/170C fan-forced. Grease an 18cm x 28cm (base) slice pan. Line base and sides with baking paper, extending paper 2cm above edges of pan. Place butter and chocolate in a saucepan over medium heat. Cook, stirring, for 5 minutes or until melted and smooth. Remove from heat. Cool for 20 minutes. Stir sugars into cooled chocolate mixture. Add egg. Mix well to combine. Add cocoa and flour. Stir well. Fold in Chokito. Spoon mixture into prepared pan. Level top. 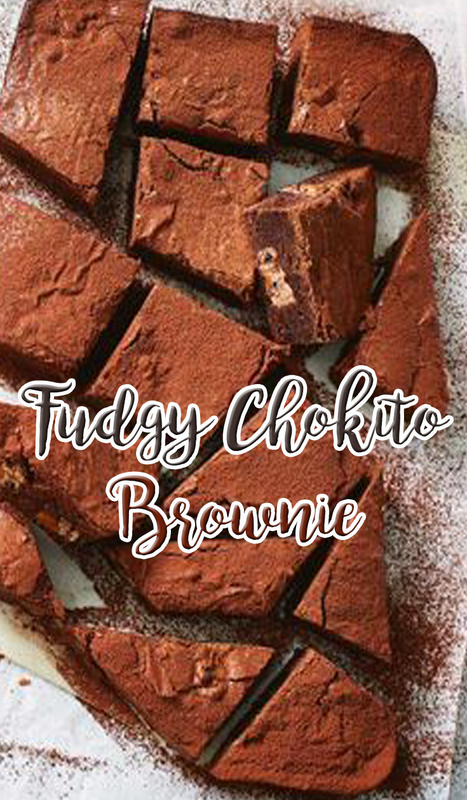 Bake for 35 to 40 minutes or until top is just firm and a skewer inserted into centre of brownie comes out with moist crumbs clinging. Cool completely in pan. Remove brownie from pan. Cut into pieces. Dust with extra cocoa. Serve.